Monteverde is a natural hub spot of natural magnificence. On top of the outstanding cloud forest scenery, it also has a rich culture that is beyond imaginable. The only way one can truly grasp its richness is by actually indulging it. So take a look at the Monteverde sightseeing tours listed below and choose your favorite cultural experience. With Monteverde Sightseeing and Cultural Tours, you can have a personal experience with how the natives live and how they work on preserving their society. These rural tours are run by community-based tourism organizations that have a foothold on private ecological reserves. The one thing that the cloud forest region is especially known for is its coffee production and we offer you a couple of ways to meet the growers and learn about Costa Rica's favorite morning beverage. 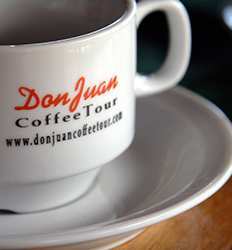 First is the Don Juan Costa Rica Coffee Tour. If you are interested in learning how the most widely drank beverage (next to water) is made, then this tour is for you. This is not only going to be informative. This is also going to be a pleasurable social and cultural experience as you exclusively interact with the people who farm and harvest their favorite beans. Another option is the Don Juan Costa Rica Coffee Tour & Cloud Forest Night Walk. This tour has a dark twist. You will have the chance to walk through the Monteverde Cloud Forest as the sun goes down. Prepare to meet the nocturnal critters that will warmly welcome you as you wander through the dark side of the coffee plantation. Costa Rica coffee has really shaped the culture of this region. The unique cloud forest ecosystem of Monteverde is perfect for growing Costa Rica's favorite crop and makes for some great cultural experiences in Monteverde. Day or Night, take your pick of our Monteverde cultural tours and immerse yourself into Tico culture. If you've ever wanted to learn a little more about how your favorite morning beverage arrives in your cup, our Don Juan Costa Rica Coffee Tour in Monteverde is a fun way to do it! This guided Costa Rica Coffee Tour in Monteverde will walk you through all aspects of the life of a coffee bean. 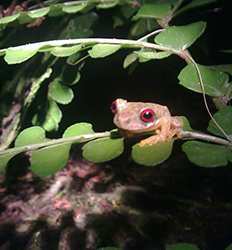 Our popular Don Juan Costa Rica Coffee Tour in Monteverde has a dark twist...a night tour with a guided walk through the Monteverde Cloud Forest. The Don Juan Coffee plantation actually doubles as a safe haven for many critters of the cloud forest who will reveal themselves as the sun goes down.